Let's face it, we all know setting goals is much easier than achieving goals. And no matter how fit and strong we are, or think we are, sooner or later we need help, we need motivation. 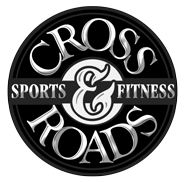 Crossroads Sports & Fitness is here to not only help you achieve those goals, but we have put Helena's top fitness trainers and staff together to make sure you get that motivation.